Today at the International Training and Education Conference (ITEC), Europe's largest show for military training and simulation, CAE announced that the Naval Warfare Training System for the Swedish Navy has arrived in Sweden and installation has begun at the Naval Warfare Centre in Karlskrona. CAE has delivered a comprehensive Naval Tactical Mission Trainer (TMT) suite comprising a total of 52 student stations along with 13 instructor operator stations to equip the Swedish Navy's Naval Warfare Training System (NWTS). Following installation and integration testing, the NWTS is expected to be ready-for-training later this summer. This week at ITEC, CAE is demonstrating its Naval TMT suite using a student console and an instructor operator station at the CAE booth (C-140). "The Swedish Naval Warfare Training System will be used to train and educate Swedish Navy sailors and officers in naval tactics, procedures and doctrine," said Ian Bell, CAE's Vice President and General Manager, Europe/Middle East, Africa. "The NWTS is a great example of CAE leveraging its training systems integration capabilities to provide an integrated, cost-effective training solution that combines products, core simulation technologies and post-delivery support services." The Swedish Navy NWTS will be used for training in a range of disciplines, including sensor operations; command, control, communications and computers (C4), and weapon systems. The NWTS will allow the Swedish Navy to train and rehearse for operations in anti-air warfare (AAW), anti-surface warfare (ASuW), anti-submarine warfare (ASW), mine warfare (MW) and search and rescue (SAR). 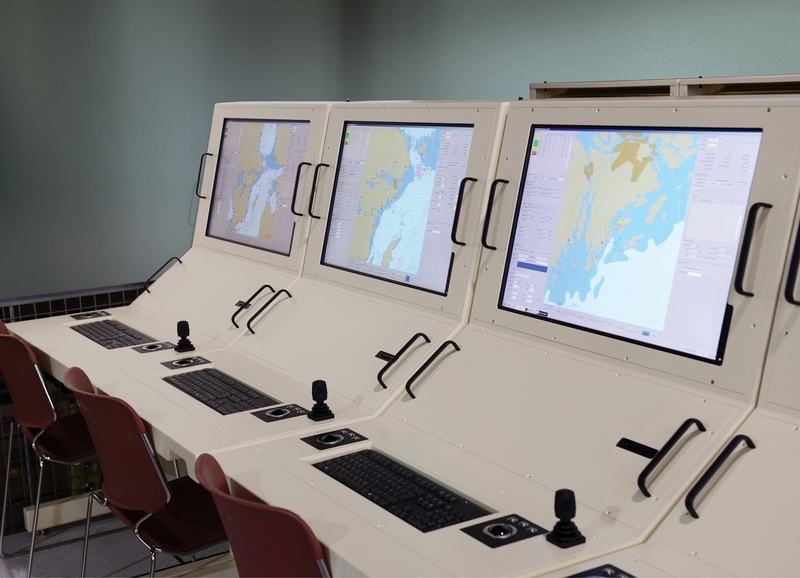 The 52 student consoles and other parts of the NWTS are now being installed at the Naval Warfare Centre in Karlskrona as four classroom training systems. Each classroom will include student consoles and instructor operator stations for creating, managing and monitoring training exercises. The student consoles include a range of core CAE simulation technologies, such as simulation systems for sonar, radar, communications and computer-generated forces. The synthetic maritime environment has been built to the CAE-developed Common Database (CDB) standard. The CDB is an open database architecture that is rapidly updateable, interoperable and enables correlated distributed mission training. Once the NWTS is accepted as ready-for-training during the summer, CAE will commence with providing on-site instructor and technician training as well as helpdesk support services and technical assistance.